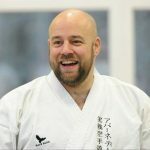 In this article I’d like to briefly discuss some of the ways in which we can view kata, and how, if we adopt a restrictive view, this can severely limit our progress in the martial arts. As a reader of this article, it’s fairly unlikely that you are the kind of martial artist who considers the katas to be nothing more than combinations of kicks, punches and blocks, the individual movements of which only have a single “traditional bunkai” (application) which must never be questioned or varied. There can be little doubt that such thinking is very restrictive and severely limits what the katas have to offer. When we view kata in such a way, it effectively becomes a “martial prison”. “It is obvious that these kata must be trained and practised sufficiently, but one must not be ‘stuck’ in them. One must withdraw from the kata to produce forms with no limits or else it becomes useless. It is important to alter the form of the trained kata without hesitation to produce countless other forms of training. Essentially, it is a habit – created over long periods of training. Because it is a habit, it comes to life with no hesitation – by the subconscious mind.” (Wado-Ryu Karate: page 19-20). Approaching kata in an unrestricted way does not mean that suddenly “everything is OK”. We still need to ensure that we have practised and understood the set “solo form” sufficiently (to paraphrase Otsuka) but having done so we should not then spend the remainder of our lives going over the same ground. We should remain true to the essence of the kata and integrate its principles into our subconscious so that we may express it in innumerable ways. However, there is a danger here . A growing number of karateka now accept the position that kata can be applied in many differing ways, but the old habits often return. 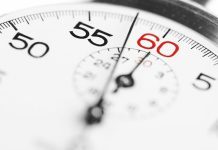 Egos quickly resurface and what began as “you can explore and apply the katas in many ways” rapidly becomes “you can explore and apply the kata in the same way as we do . and anyone who does not has got it wrong!” With this kind of attitude we have restriction masquerading as freedom! The fundamental combative concepts embodied by the katas must always be adhered to if we are to be effective fighters. However, to my mind, we are all unique individuals and therefore the exact way in which we apply a kata’s concepts will be unique to us. A good instructor will not impose their way of applying kata on their students. They will teach them the katas, teach them how to “read” the katas, teach them how to fight in accordance with the principles of the katas, but they will leave the individual combative expression of the kata to the student themselves. During my time in karate I have never come across an approach to kata – other then my own personal approach – that also worked for me, and I doubt you will either. Don’t get me wrong, there is some great stuff out there that will undoubtedly enhance your understanding of kata and your ability to apply it in combat, but it is doubtful that you’ll find all YOUR answers in one place. With regards to my own work, I certainly can’t claim to have all the answers for you as an individual. I have an approach that has worked for me, and I hope that aspects of it will work for you also. However, you are not me (nor are you anyone else) and it is therefore inevitable that modifications will be required if you are to express the katas in the best way for you as an individual. The “this is the only way to do it!” attitude that is present in some sections of the “traditional” karate community spreads all too easily to those who wish to study kata in greater depth. Kata should at no point attempt to make you into a clone of your instructor. We obviously wish to emulate their stronger points, but we must all have the freedom to ensure that we can explore kata fully and in a way that works for us as the unique individuals we are. To use an analogy, let’s say that you could learn to paint from Leonardo Da Vinci, and as part of the process he gets you to recreate the Mona Lisa. There is no doubt that he is a great artist, it is a great piece of art, and to be able to recreate a great work like the Mona Lisa takes considerable skill. Through doing so, you’ll learn all about the fundamental concepts for portrait painting, and how to effectively utilise those concepts. However, would Mr Da Vinci be a good teacher if he insisted that you only ever continue to recreate his own works?!? Or would, as I’m sure you’ll agree, he be a better teacher if he said “take what you’ve learnt through the study of my creations and create art that is uniquely yours”? Also, you’d be a pretty poor student if you only ever produced copies of your teacher’s work as it displays that the underlying concepts have not been grasped (you understand the technique, but not the concepts that gave birth to the technique). It may be a good idea to clarify at this point that in supporting “freedom of expression” in the martial arts, I’m not supporting those who “create their own styles” etc without having the experience or talent to do so. It’s not a “free for all”. We still need to ensure that we learn the fundamentals from a good teacher before we earn the right to express those fundamentals in our own way (otherwise, what have you got to express?!?). Another form of restrictive thinking is the strict adherence to “historical or traditional” practise. A renowned past master or a highly valued text showing a movement being applied in a certain way does not mean that you are only “allowed” to use that motion in exactly the same way! You have to apply the concepts and techniques of the katas in the way that works best for you. It may be that the “historical / traditional way” IS the best way for you, and if so great! But should you have another way to apply a technique or concept that is more suitable for you as an individual then you should stick with it and abandon the “historical or traditional” one. The only valid measure is that of combative effectiveness. Although I find the history of the various arts extremely interesting, I’m no historian. I’m first and foremost a pragmatist. Some understanding of the history and development of the katas is important if we are to be able to understand them in their correct context, but we should never let history get in the way of practicalities. If we sometimes interpret and make use of the katas in a differing way to the martial artists of the past, then so be it. How the martial artists of the past utilised the katas should never be a barrier to our progress. We should avoid the potentially restrictive dogma of “history and tradition” and ensure that we remain true to the core tradition of pragmatism. Perhaps paradoxically, I feel certain that it is this approach that the past masters would wish us to adopt. 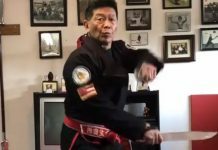 It’s how well WE can apply the techniques and concepts of kata that really counts. Whether we apply them in the exact same way as another martial artist, past or present, is at best an irrelevance and at worst an erosion of our personal potential. 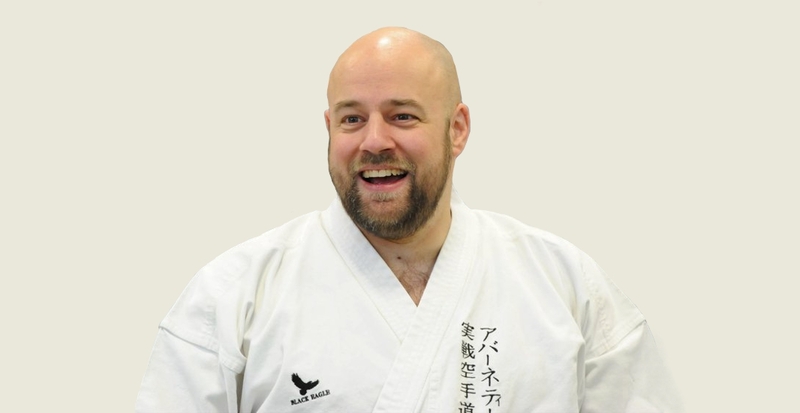 I feel it’s worth emphasising that, to my mind, we are not abandoning tradition by being prepared to examine alternative ways of utilising kata. After all, it makes sense that the formulators of kata would wish to record key concepts and motions that can be applied in many different ways and situations as this would be a very efficient way to train. The other option would be to attempt to recorded innumerable techniques for an innumerable amount of possible situations, which would be impractical in the extreme. As is evidenced by the length of the katas (they all have a point where they end! ), it would seem the originators of kata opted for the key concepts and motions approach. 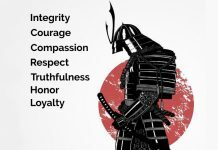 By examining these concepts and motions, and learning to apply them in a way that works for us, we are most probably using the katas in the way that was actually intended by their creators! As well as avoiding tyrannical instruction and historical dogma, you also need to be sure that you don’t imprison yourself; to quote Eric Hoffer, “When people are free to do as they please, they usually imitate one another.” If you accept that we have to express the forms (meaning the techniques, concepts and principles they embody) in a way that consistently works for us as unique individuals, we also have to accept that the responsibility for making our expression work also lies with us as individuals (a good instructor will still provide guidance however). This responsibility can be uncomfortable for some and that is why they prefer to attempt to make themselves an exact copy of another so that subconsciously they feel the responsibility lies with the one copied. This avoidance of responsibility is extremely common. Kata should provide the information to ensure that your karate will work for you. It should be the “key” that ensures you have the freedom and knowledge to develop your combative skills in accordance with your own unique strengths, weaknesses and preferences. And whilst we definitely need the guidance of our seniors and peers, we must ensure that we don’t allow ourselves to have our view restricted or our possibilities limited.